These cupcakes are so good that you won’t even know that they’re lightened up. So good in fact, that I ate three in one day. Yes, three! At first I thought I only ate two but then I counted the remaining cupcakes and realized it was actually three. Whoops! I’ve convinced myself that since these are a lighter version, the three that I ate are a closer calorie equivalent to one regular carrot cake cupcake. That’s not so bad, right? In case my over indulgence wasn’t proof enough, I will tell you again that these are perfectly delicious even though they are “light”. 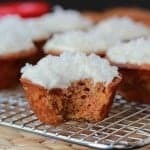 The oil in the recipe is scaled back, so the cupcakes get added moisture from crushed pineapple and low fat buttermilk which results in a super moist and light texture. 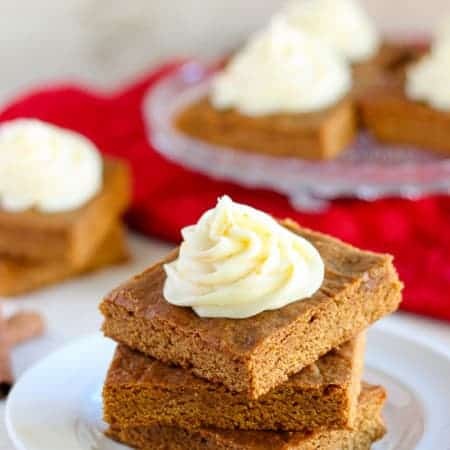 Cinnamon and nutmeg add the right amount of spice and they are sweetened with both brown sugar and white sugar. 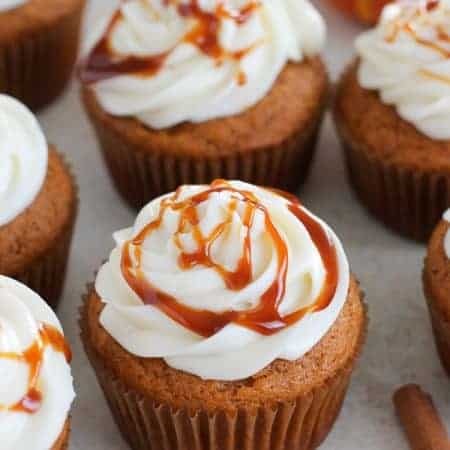 Of course, carrot cake must be accompanied by cream cheese frosting, and that adds the perfect finishing touch to these cupcakes. 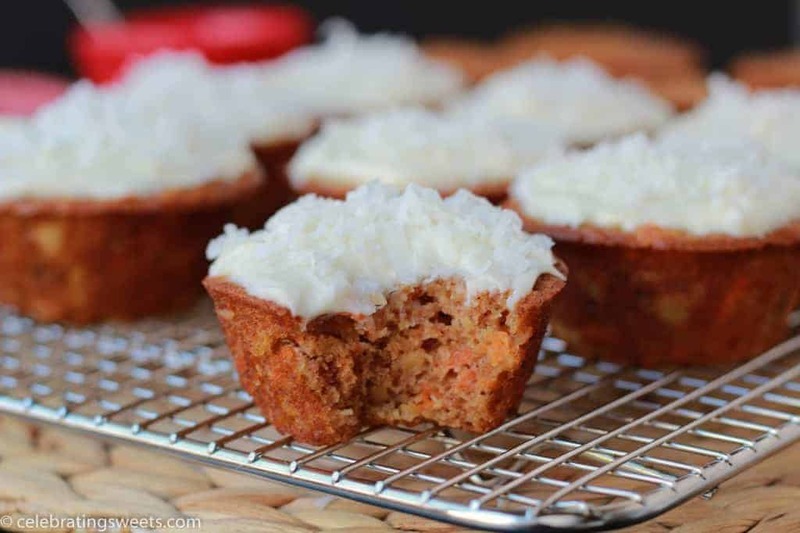 A lighter version of carrot cake cupcakes. Moist, spiced carrot cake topped with a vanilla cream cheese frosting. Preheat the oven to 350°. In a medium bowl, whisk flour, baking soda, salt, cinnamon and nutmeg. In a large bowl, whisk eggs, sugars, buttermilk, oil and vanilla extract. Stir in pineapple, carrots, coconut and walnuts. Add the dry ingredients and stir until just blended. 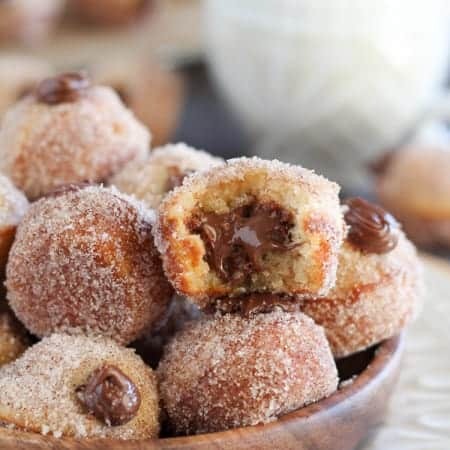 Pour the batter into a muffin tin that has been buttered or filled with paper liners. Fill each cup about 3/4 full. Bake for 15-17 minutes until a toothpick inserted into the center of a cupcake comes out clean. Cool for 10 minutes in the pan and then remove to a wire rack to cool completely. Once the cupcakes are cool top with frosting. Beat all ingredients with a hand mixer or stand mixer, for several minutes, until smooth and creamy. 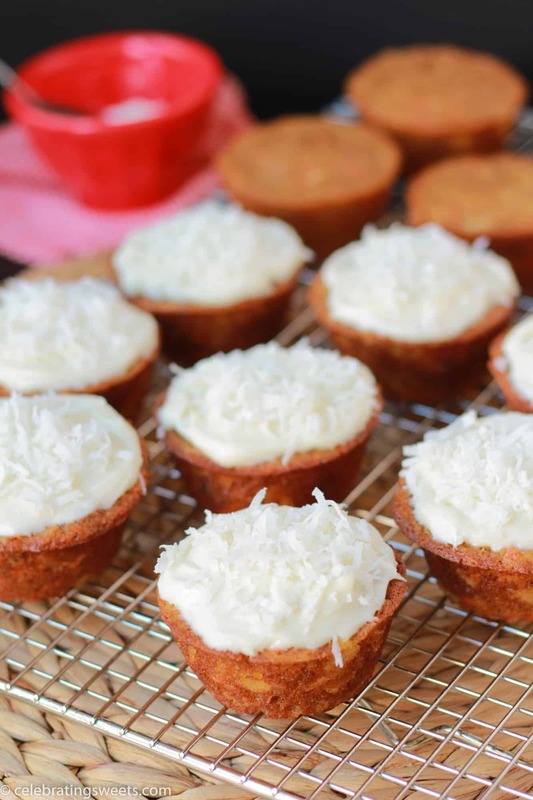 Top the cupcakes with frosting and garnish with shredded coconut or chopped walnuts, if desired. Since these cupcakes are so moist, I like them best stored in the fridge. You can keep them at room temperature if you prefer. Little, light and utterly perfect! These are fabulous!